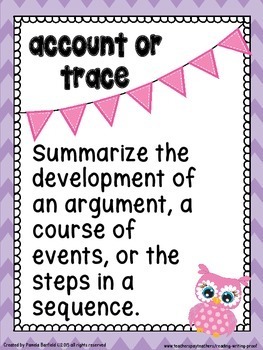 This resource is for teaching constructive response writing. 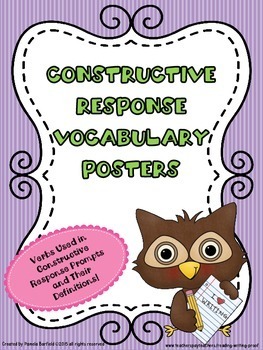 It consists of 14 verbs and definitions that occur regularly in constructive response prompts. 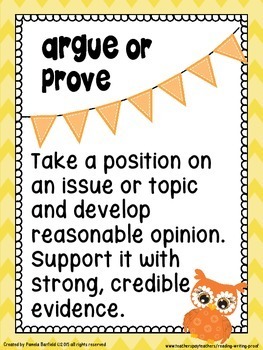 Use these cards as you teach your students how to read a prompt. 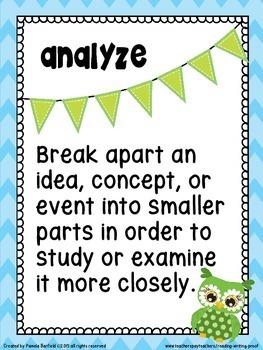 You can introduce them a few at a time or all at once, then hang them up in your room as a resource for your students to use as they work on reading, writing, and proof!